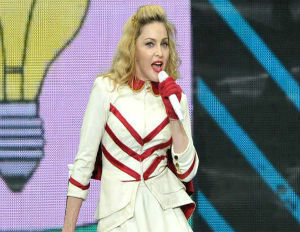 Madonna may be supporting President Obama but that doesn’t mean everyone at her concerts agree with her choice. This past Saturday, several New Orleans concertgoers walked out of Madaonna’s concert after she told the crowd to vote for Obama. “I don’t care who you vote for as long as you vote for Obama” she said. “Seriously, I don’t care who you vote for … Do not take this privilege for granted. Go vote,” she continued. Read the story at the N. Y. Daily News. Makkada B. Selah is a journalist based in New York City.